Must be 21+ or accompanied by an adult or guardian. On June 23rd at the distillery, we’ll release a very limited run of our bourbon rested in a barrel that previously held Avon Brewing Company’s King Kokonut Imperial Coconut Porter, where we picked up loads of malt, roasted chocolate, and coconut. We’re sure that this will be one of our most special releases yet! 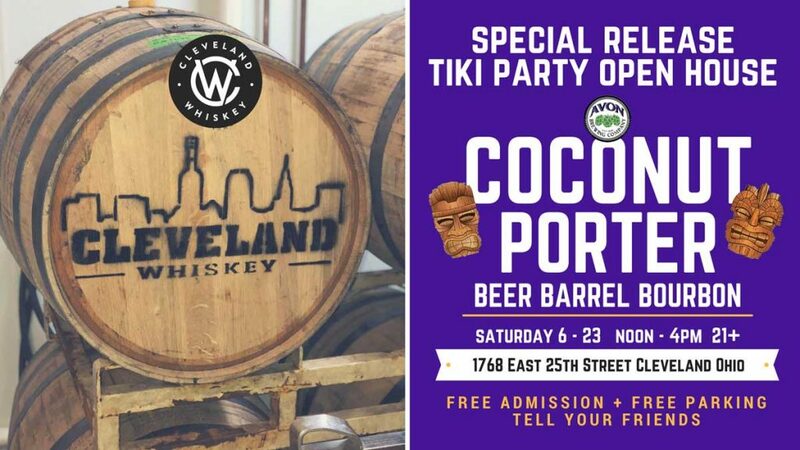 Avon Brewing Company will be on site offering samples of their bourbon barrel aged King Kokonut Imperial Coconut Porter. As usual, we’ll come up with a creative cocktail or two featuring this limited product and have samples available to taste. Come early to ensure you get your very own bottle of this special release before they sell out.